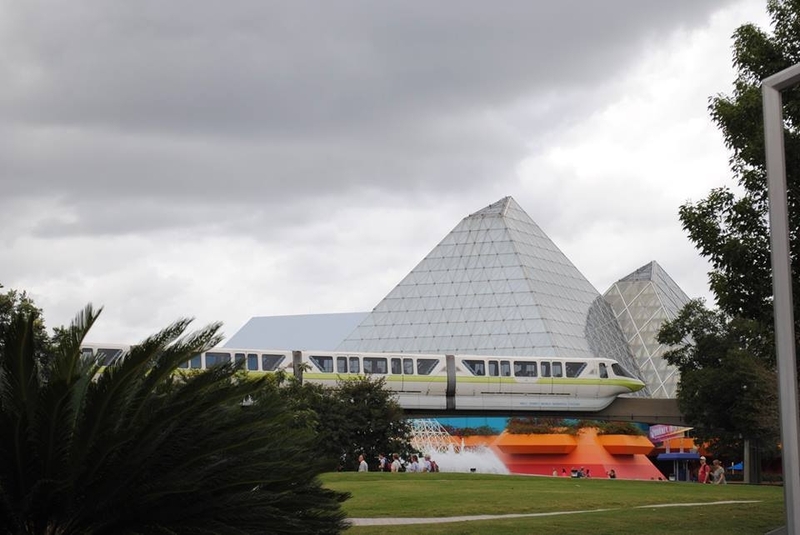 When some people see rain in the forecast when they’re visiting Disney, they assume their day will be less than Magical. That does not, however, have to be the case. 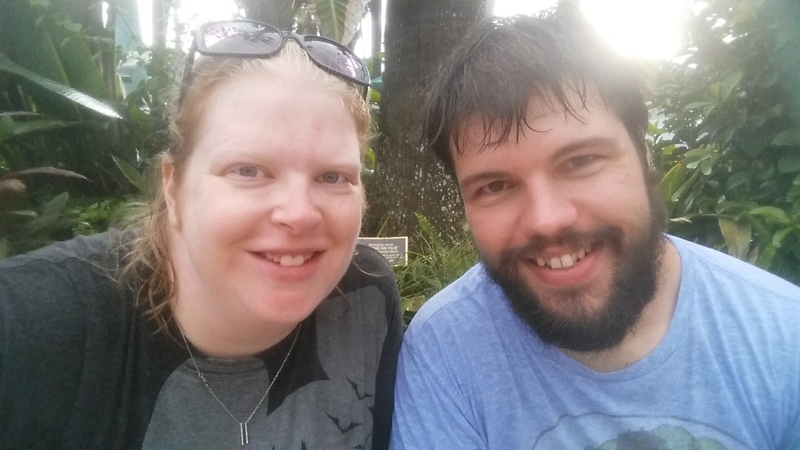 There are some weeks in Florida where it rains every day, and skipping the parks due to inclement weather might mean missing out on your whole vacation. Fear not fellow Disney fan, there is still fun to be had despite the less than sunny weather. Some people like to buy ponchos before their trip and pack them in their suitcase to save some money. 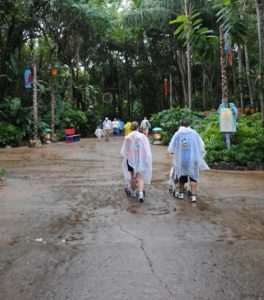 I, however, like Disney’s ponchos, so we invested in some on our last trip and will bring those with us for future trips. I actually found a poncho recently that my parents bought us on one of our first trips on the early 90s, so I think that speaks pretty highly to the quality of the ponchos Disney sells. If you are using a stroller, you’ll also want to invest in a rain cover for your stroller. You could use a poncho in a pinch, but it’s been my experience that they don’t work as well as an actual rain cover designed for strollers. If there’s a decent chance of rain in the forecast, I recommend putting the rain cover over your stroller any time you plan to be away from it, so you’re not stuck walking out of a ride and finding that a passing shower has soaked your stroller while you were gone. 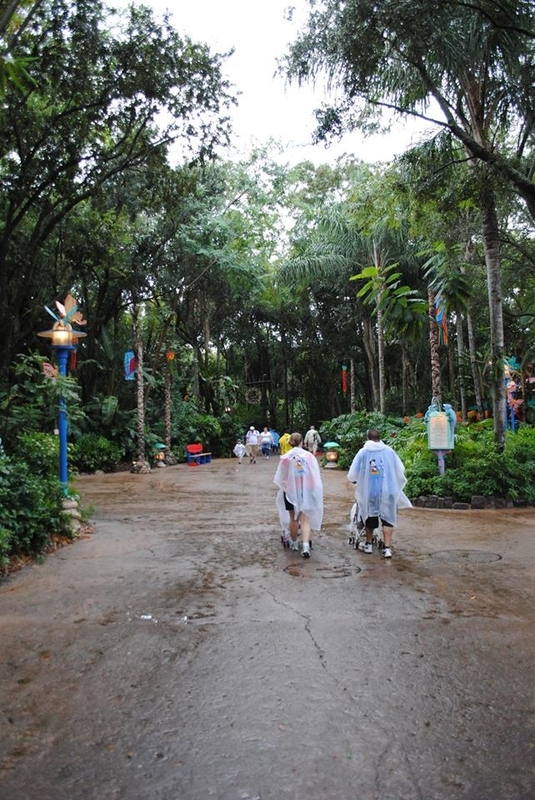 I can’t think of much that is more miserable than having to walk around the parks in wet socks and tennis shoes. 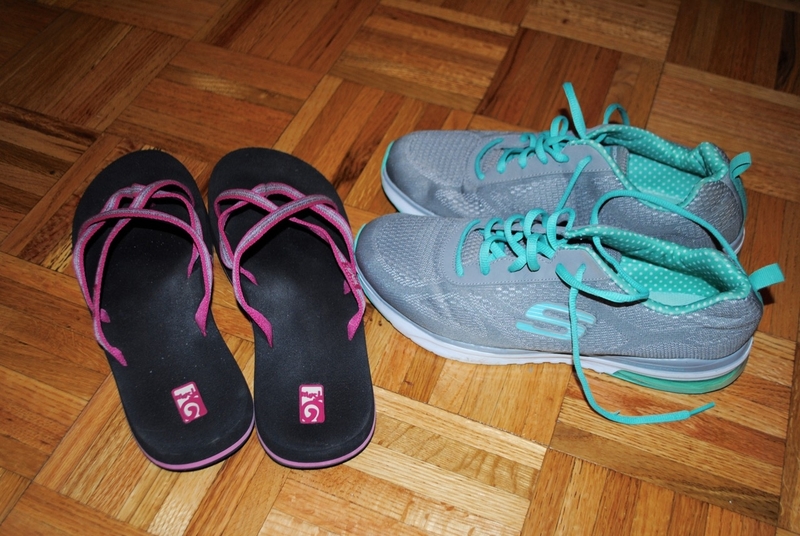 On our last trip, I brought a couple pairs of comfortable flip-flops to change into mid-day to help my sore feet. Since rain was in the forecast pretty much the whole trip, I would either wear those flip-flops to the park initially, or throw them in our park bag. 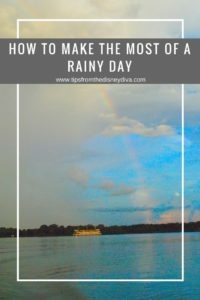 Whenever it started to rain, I would quickly take my tennis shoes off and put my flip-flops on so that it wasn’t such a big deal when my feet got wet. If you’re not a fan of flip-flops, consider packing a 2nd pair of your preferred shoes even if they do get wet, at least you’ll have a back-up pair for when the rain stops. One of my favorite things about Disney is the food. My family always has at least 1 ADR scheduled per day because we enjoy sitting down together and enjoying a meal. If you find yourself facing a rainy day at the parks, find a great place to sit down and enjoy a meal while the rain falls. 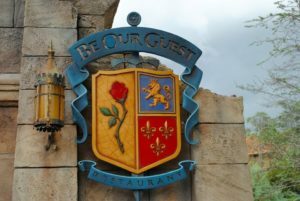 Even if you don’t have any table service restaurants scheduled, Disney has a lot of amazing counter service options that have indoor seating areas. Sit down, relax, and take time to enjoy your food and the company of your traveling companions. Even if the rain doesn’t stop before your finished, that little break should help recharge you for the rest of the day. This is perhaps the most important rainy day tip I can offer. The parks don’t close down for rain and so you shouldn’t be afraid to get out there and enjoy them. I think back to one day we spent at Animal Kingdom in the rain, and that was perhaps the best visit we’ve ever had at that park. It rained for most of the day, so the crowd levels were very low. We walked up to several character meet-and-greets with zero lines. 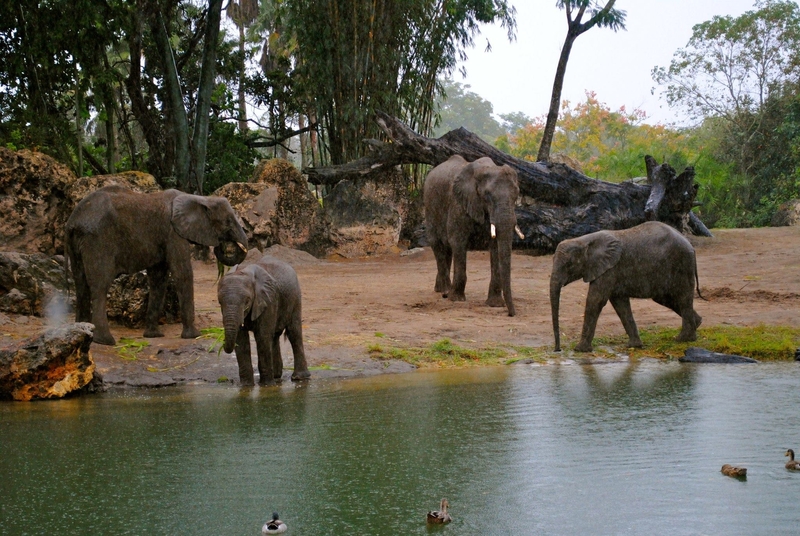 Most of the rides had little to no wait, and we actually found that Kilimanjaro Safaris was more fun in the rain because we saw more animals (who were out to enjoy the rain) than we’ve ever seen before. Even if you didn’t heed any of the advice above or find yourself in a pop-up deluge that you didn’t have time to prepare for, just embrace it and enjoy all that Disney has to offer. After all, you’ll dry out eventually. So there you have it. 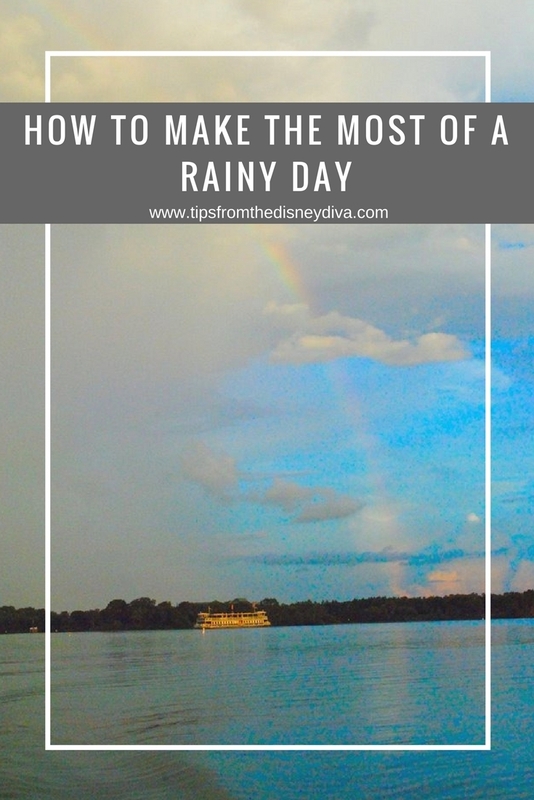 My tips for making the most of a rainy day at Disney. 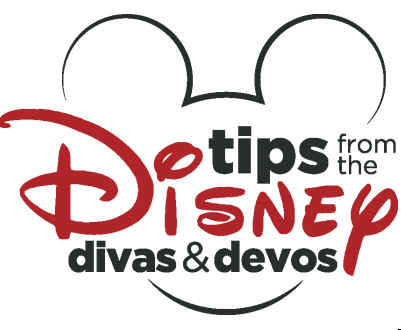 You can check out Devo CabDisney’s tips for dealing with the rain here and my guide to dealing with the rain during Mickey’s Not So Scary Halloween party here. Don’t let a little inclement weather scare you away from enjoying your vacation- a rainy day at Disney is still better than any day at home!